Sweet Stax, with your choice of cookies, ice cream and optional toppings. 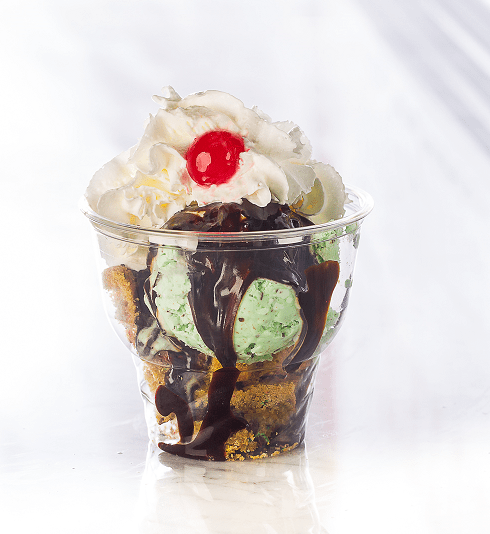 Stax Cookie Bar has just announced the expansion of the menu with more delicious sweet treats. 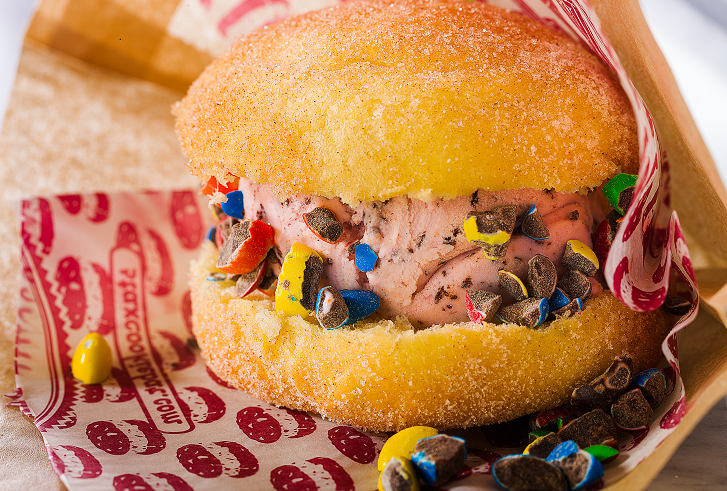 Cookie and ice cream lovers can indulge in more flavors, as well as new desserts such as ice cream sandwiches made with cream buns, which are similar to brioche. 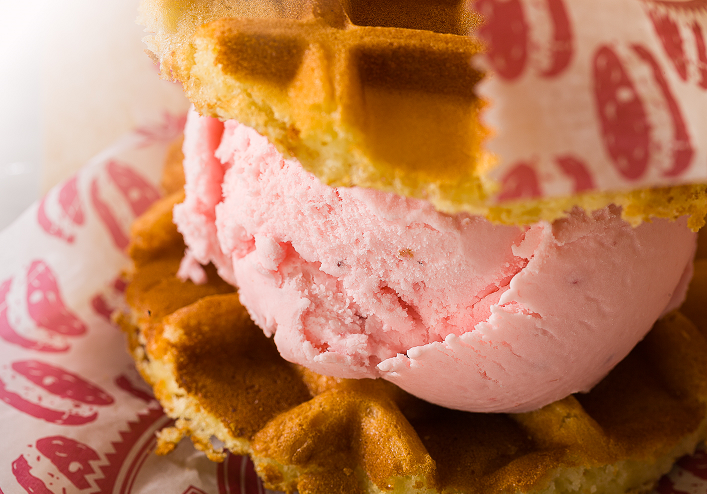 Stax will soon add waffle and cupcake ice cream sandwiches to the menu. All Stax desserts are made with the finest ingredients and all cookies and cream buns are baked fresh daily on the premises. Cookie Crumble Sundae from Stax Cookie Bar. Stax offers 12 rotating cookie flavors daily, including Snickerdoodle, Red Velvet with white chocolate chips, Black and White, and White Chocolate Macadamia. One gluten free vegan cookie is also available daily, with rotating flavors including Coconut Chocolate, Double Chocolate Almond and Sesame Mango. A cinnamon sugar Cream Bun Stax from Stax Cookie Bar. In addition to its signature Sweet Stax, hand-crafted ice cream sandwiches made with fresh-baked cookies, Stax now offers Cream Bun Stax, made with fresh baked cream buns, and will soon make waffle ice cream sandwiches to order. 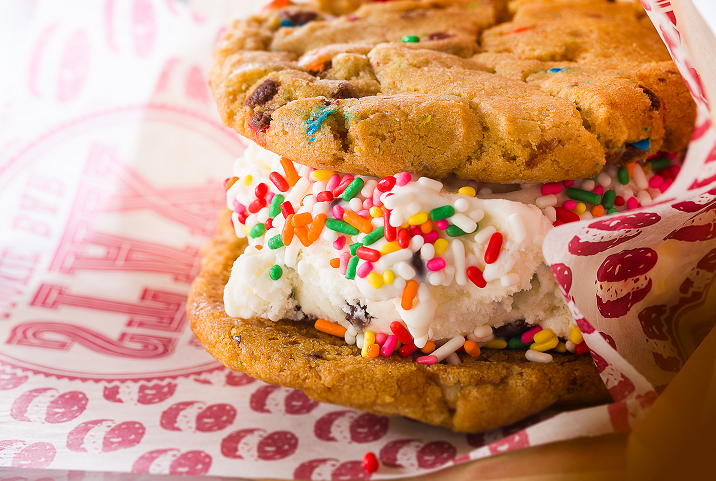 Any of the ice cream sandwiches can be rolled in a variety of toppings, such as sprinkles, candy pieces, nuts or cookie crumbles, for an extra charge. 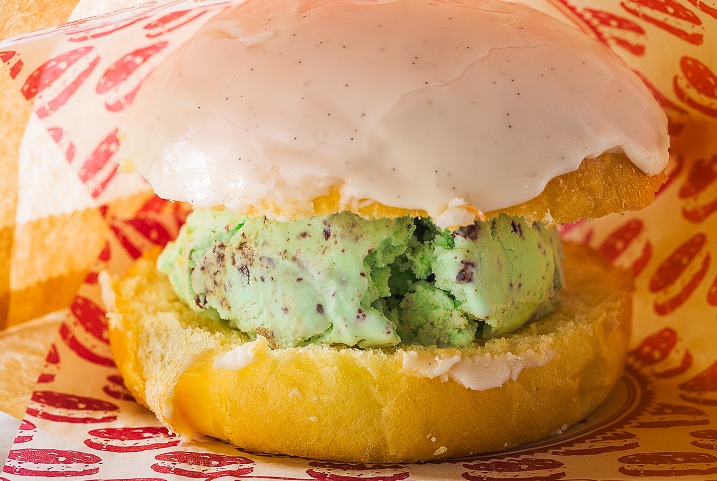 An iced Cream Bun Stax from Stax Cookie Bar. Stax has also expanded its 16 rotating ice cream flavors to include Birthday Cake, Blueberry Cheesecake, Cotton Candy, Caramel Praline, Death by Chocolate, Espresso Almond Fudge, Hazelnut Toffee, Kona Coffee, Lemon Meringue Pie, Maui Waui Sherbet, Moose Tracks Denali and more. Dairy-free vanilla is also available. A Waffle Stax, which will soon be made to order at Stax Cookie Bar. Stax cookies are also sold individually for a sweet snack on the go, as well as gift tins with one or two dozen cookies.